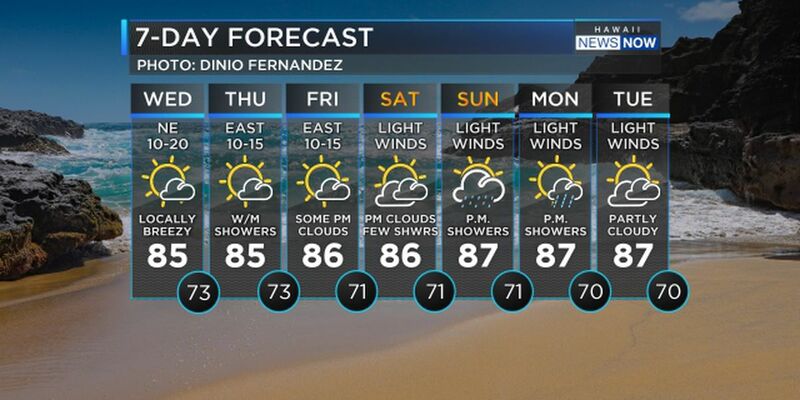 As we count down to 2019, we will be enjoying trade winds and pleasant weather! Expect this pattern to hold for the first week of the new year. We will definitely be the envy of the nation! 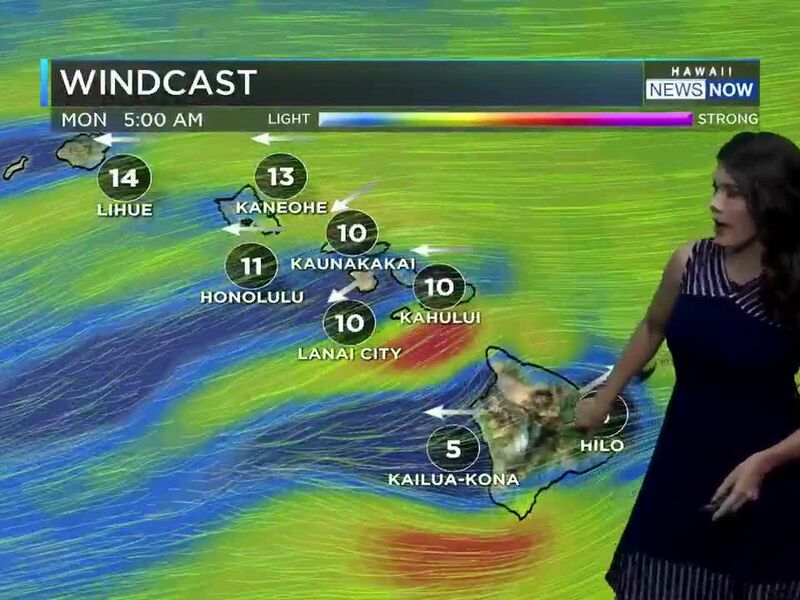 A breezy to locally windy dry trade wind weather pattern will remain in place through much of next week as 2019 comes our way. 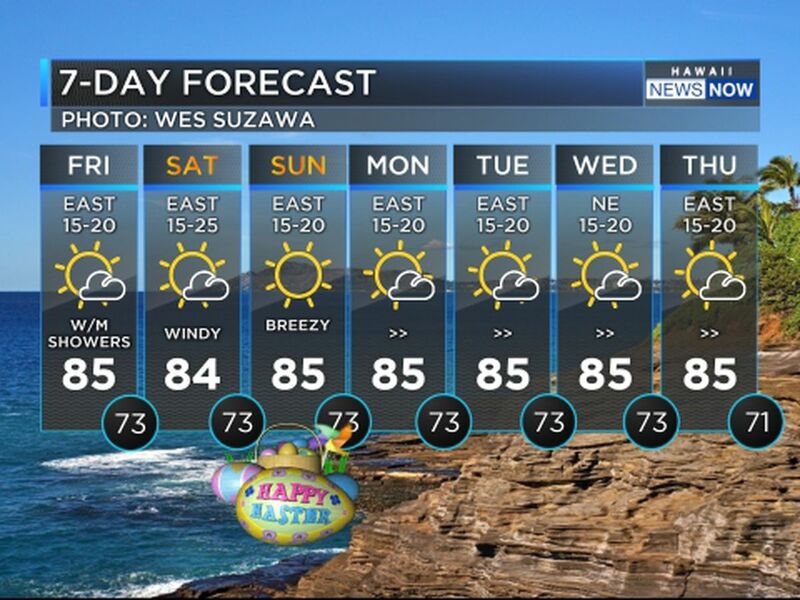 Trade winds will begin to weaken late this weekend. Let’s talk surf! Surfers are waxing up their boards for an upcoming new year’s swell. A moderate northwest swell will begin to build Tuesday afternoon and peak at or near advisory levels Tuesday night through Thursday. 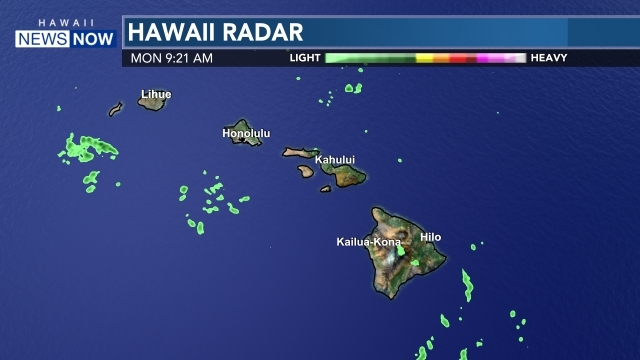 The northwest swell will begin to decrease Thursday night and will be followed by a smaller reinforcing northwest swell late Friday into Saturday. Persistent moderate to strong trades will result in elevated surf along east facing shores through much of the week, with advisory level surf possible at times, Tuesday through late in the week. 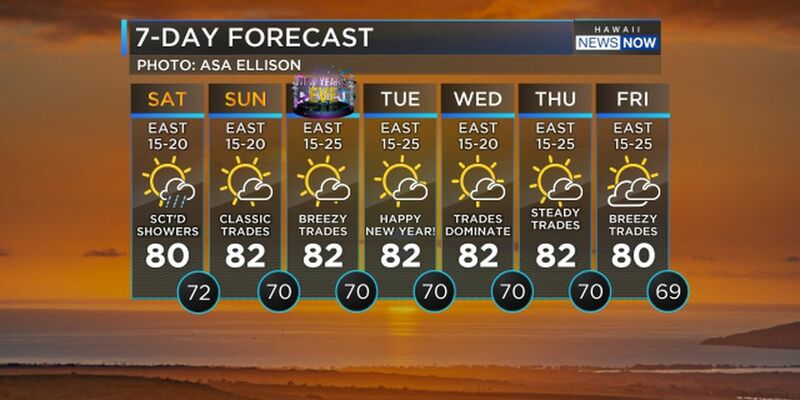 The wind swell will be on the downward trend over the weekend as trades begin to ease.